The details of data center design really matter when you select a colocation provider. Operators often advertise facilities that are “designed to meet” industry Tier ratings but are not actually independently certified to any standards at all. Uncertified infrastructure puts your business at risk whenever municipal services fail and during maintenance and upgrade activities. And, sooner or later, every mechanical and electrical system serving your equipment will need maintenance. Why take the risk on a vendor with uncertified infrastructure? 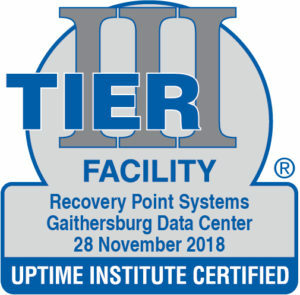 The Uptime Institute’s rigorous Tier Standards for Operational Sustainability design and inspection program is the only authoritative, evidence-based, and unbiased mechanism for certifying data center resilience. 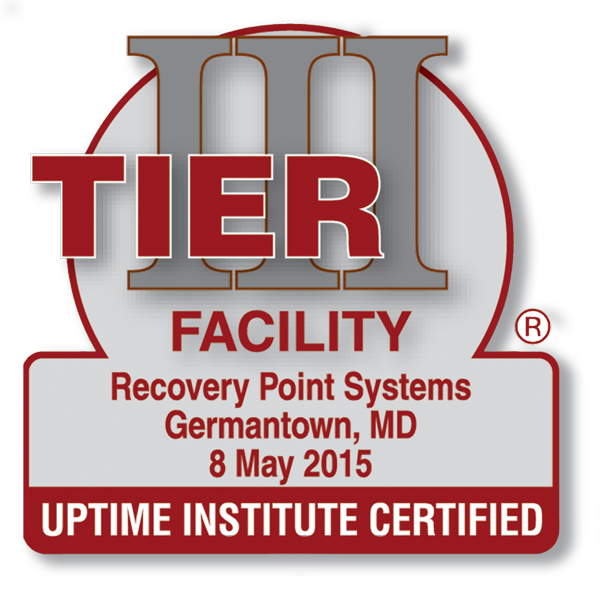 Recovery Point is one of the few colocation operators in the United States with multiple sites certified by the Uptime Institute for Tier III Constructed Facility infrastructure. If a facility’s design and construction have not been independently certified, there’s no proof that it really meets any standards — or your needs. From single racks to build-to-suit to private deployments, we make it easy and safe for you to get out of the data center business, lower your costs and focus on your core mission. By itself, even compliant infrastructure does not guarantee data center uptime. A facility is only as reliable as the procedures used to operate it. Independent certification to nationally recognized auditing standards provides you with assurance that your colocation environment will successfully safeguard the security of your critical IT Infrastructure. Recovery Point colocation facilities are home to a broad spectrum of public and private sector clients and are all audited against key national standards for site, network and data security, including both SOC2 and PCI-DSS and others. We qualify our processes against the most rigorous Federal and industry benchmarks so that clients, auditors and risk managers can have confidence in the integrity of our services.